This is, and always has been, the ideal way to learn. You have the opportunity to be taught the subject you want to learn in a one-on-one setting with Tom Laskowski the schools founder. The class moves at YOUR pace, faster if you pick up the skills quickly, a little slower if you need a little extra time to perfect the skill. The entire time is dedicated to you. The dates and times are arranged for your convenience and the location can either be up in Cleveland, Ohio or Tom will come to you and do the course at a location of your choosing, even at your own home. 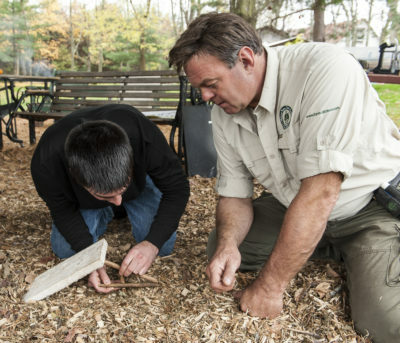 Any of the topics that MNSI offers can be taught n a one-ton One basis, however the most popular are the Survival, Fire Making and Homesteading skills courses. Tom has assisted several people applying for the Survival Reality TV shows to enhance their chances of being selected by the shows producers. The cost of a One-on-One class is $200 per day. If you would like a second person to join you their cost would be $175 per day. I received a call from some in who wanted to know if we would do an Edible, Medicinal and Herb Class at their location outside of Ohio. Option #1 They can drive up to us in Cleveland, Ohio and the cost of this “Private One-on-One Plant Class would be the flat $200 for the day (9AM to 5PM). Option #2 We could drive down to their location. Their cost for this class would be the standard $200 per day plus my actual cost of fuel to get me there and back (I drive a Chevy Suburban that gets 15 mpg). I use MapQuest to get the mileage and time to make the trip and use the gas prices of the day I travel and just calculate it out. Plus I charge $10 per hour for my Travel Time. In this option they save themselves the drive time and the wear and tear on their vehicle and they get the benefit of me showing them what plants are growing in THEIR backyard! Option #3 They get at least 12 other people to take the class (that would make a total of 13) more people would be fine, but at least 13* are required for this option. In this case would charge Our standard price of the class as if it were scheduled at our school in Cleveland and add a surcharge of $10 per student to cover both drive time and fuel.